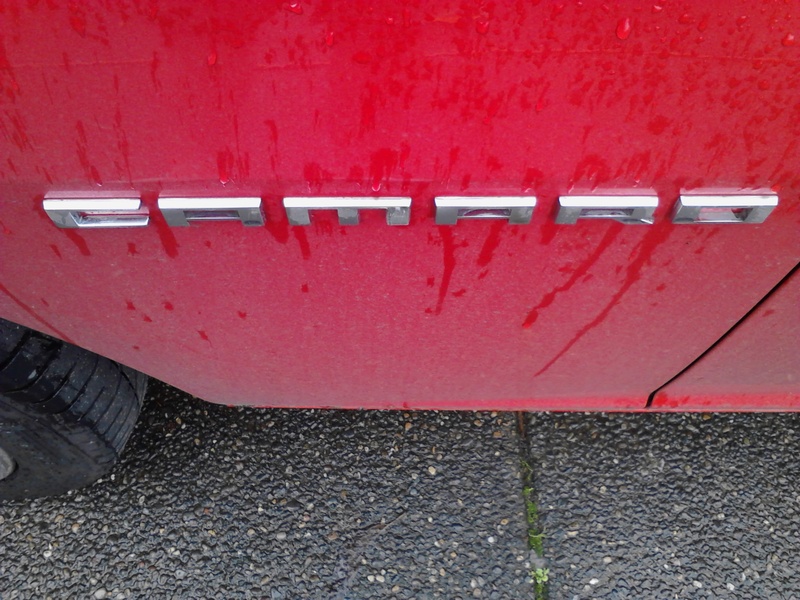 We have maintained this vehicle since it was brand new. 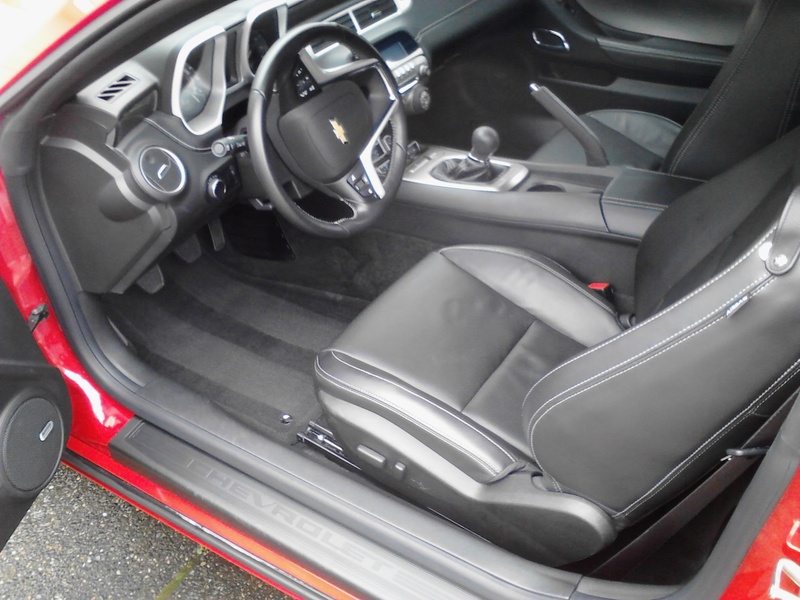 Every month we spend a few hours thoroughly detailing the vehicle’s interior and exterior surfaces so the owner can appreciate a like new appearance throughout the year. 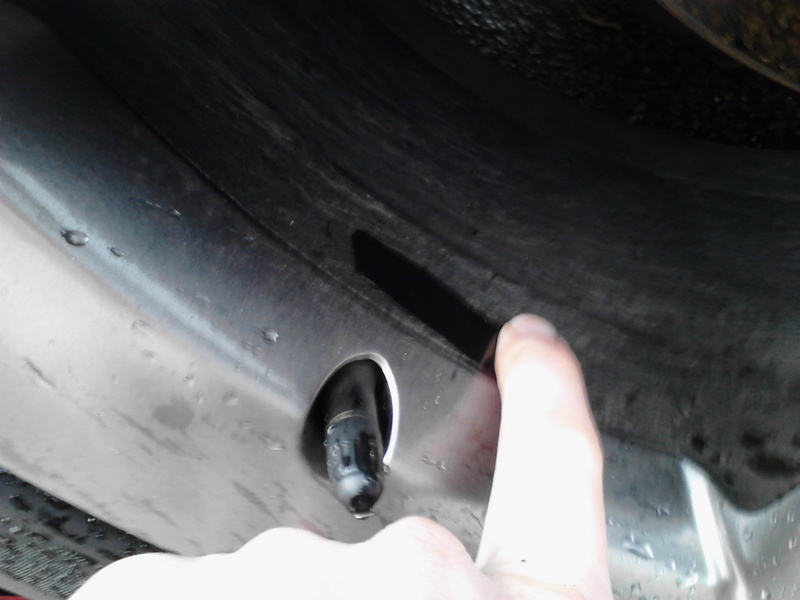 First step is always the wheels. 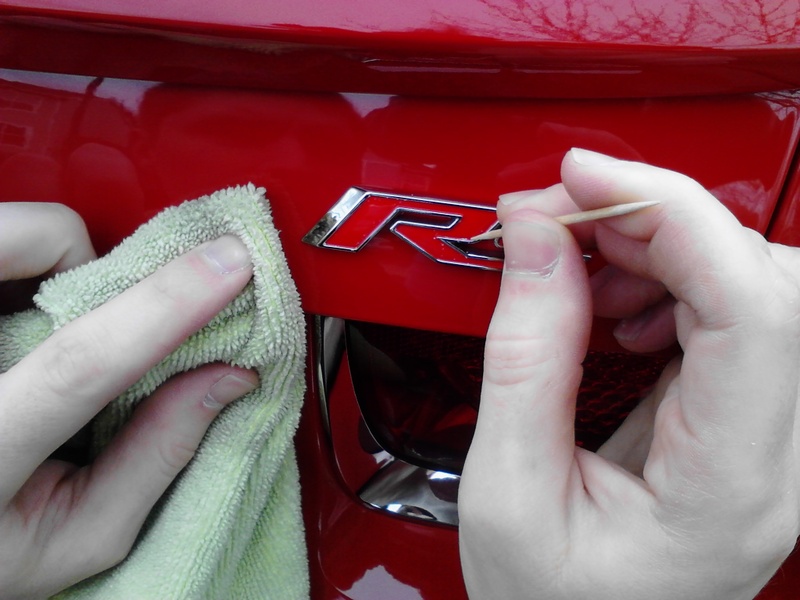 After a few weeks of rain and a few hundred miles of driving they are usually due for a good cleanup. 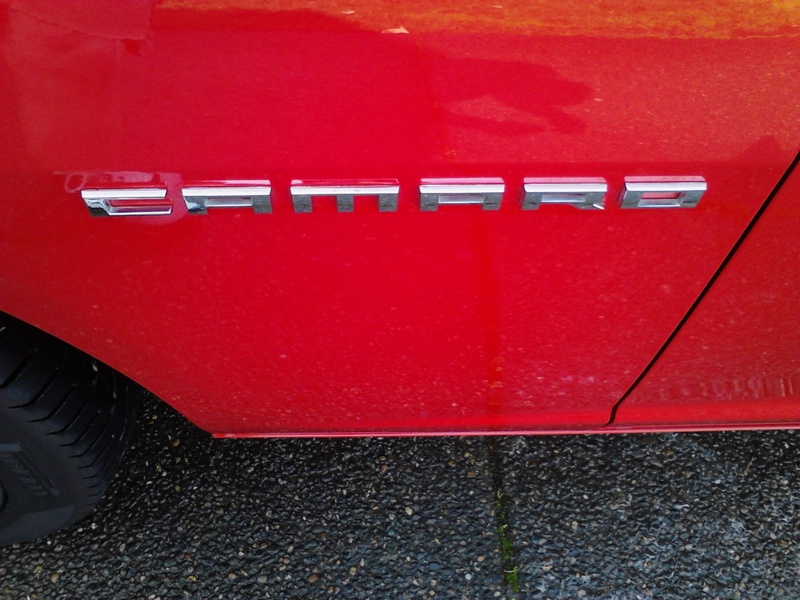 Since this vehicle is on a VIP maintenance plan there is no need to use harsh chemicals to maintain a clean and shiny appearance. 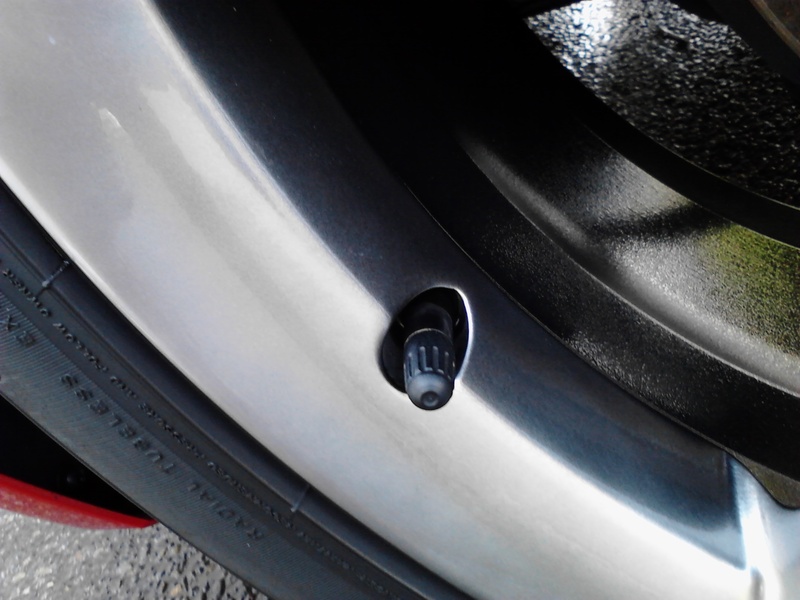 This type of ongoing maintenance is better for keeping the wheels clean without harming or dulling the finish. 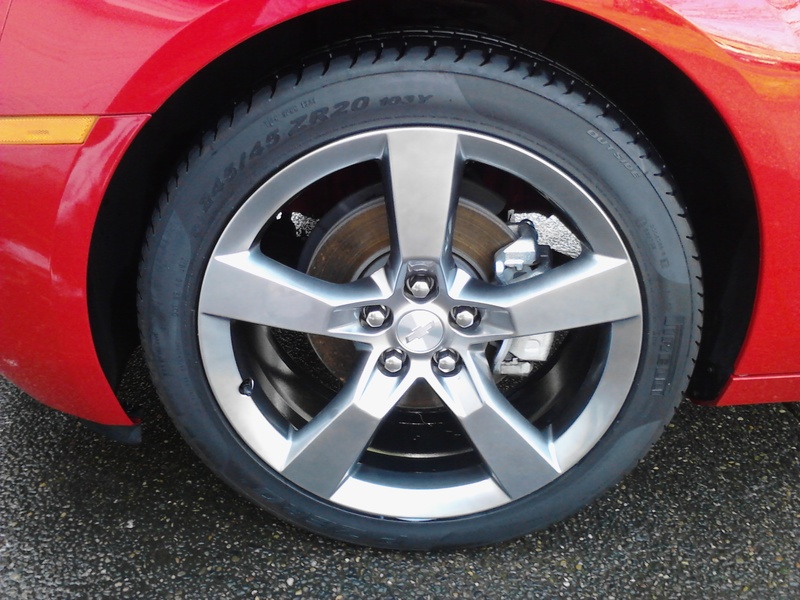 Today we used a mild pH neutral wheel cleaner and car wash soap to clean each wheel, including the barrels and calipers. 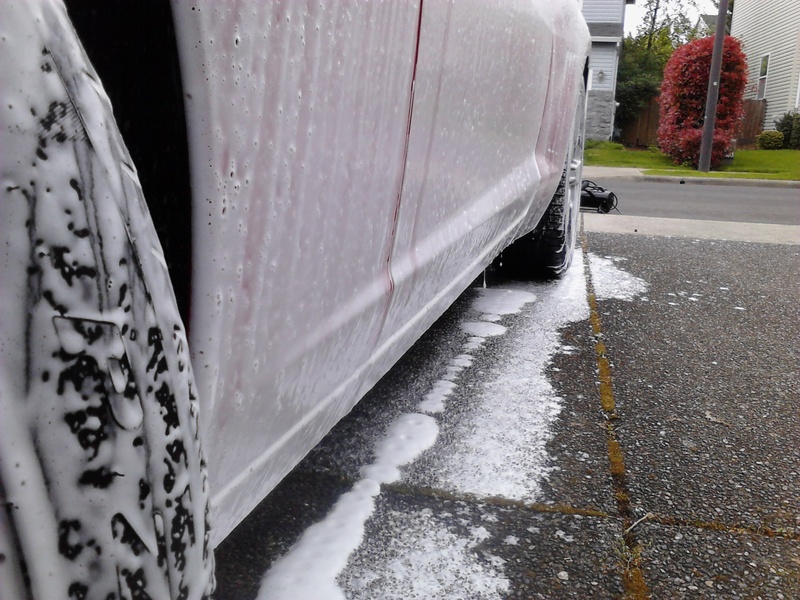 Tires were washed with APC and special tire cleaning brushes. 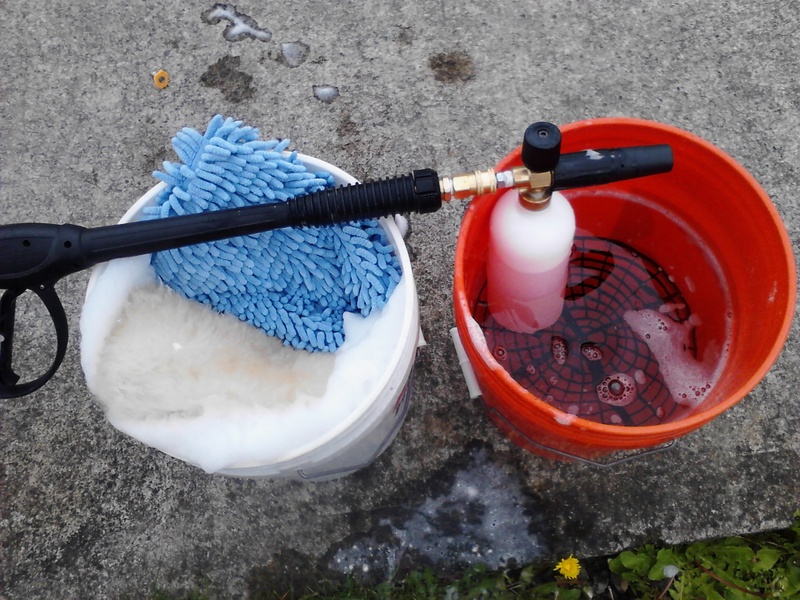 After the wheels and tires were completed we prepared our 2 bucket wash kit and filled the foam cannon. 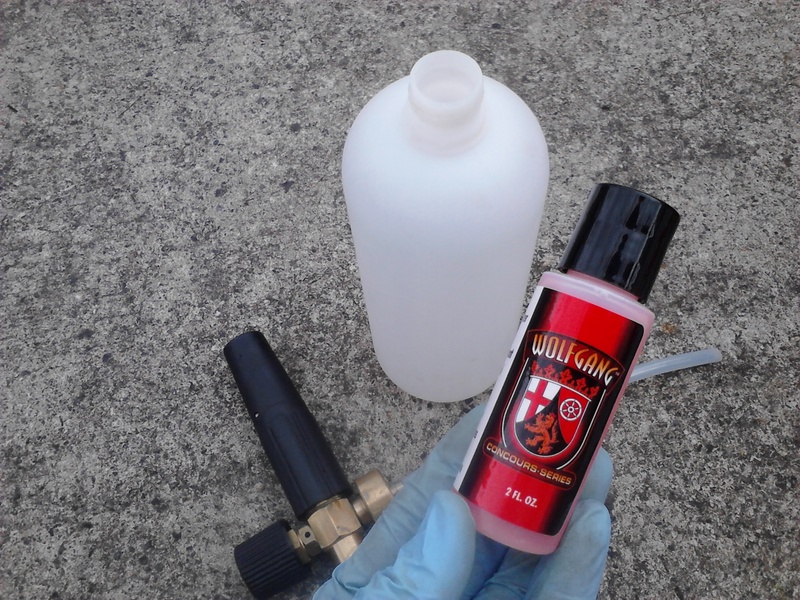 Today we were trying a sample of Wolfgang Auto Bathe premium concourse series car wash soap. I really liked the Wolfgang soap. 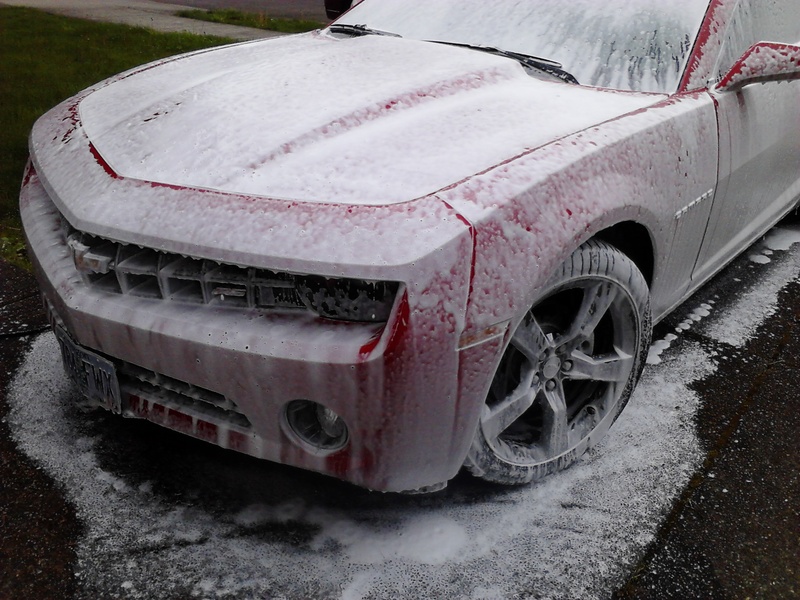 It foamed up really nice, had a pleasant smell, and was very slick. 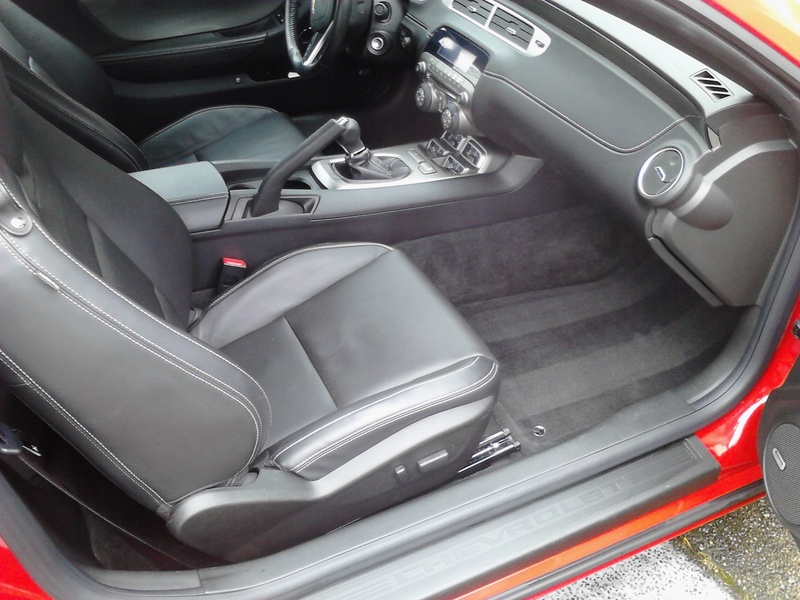 These ingredients, combined together, mean the wash process is enjoyable and gentle on the vehicle’s finish. 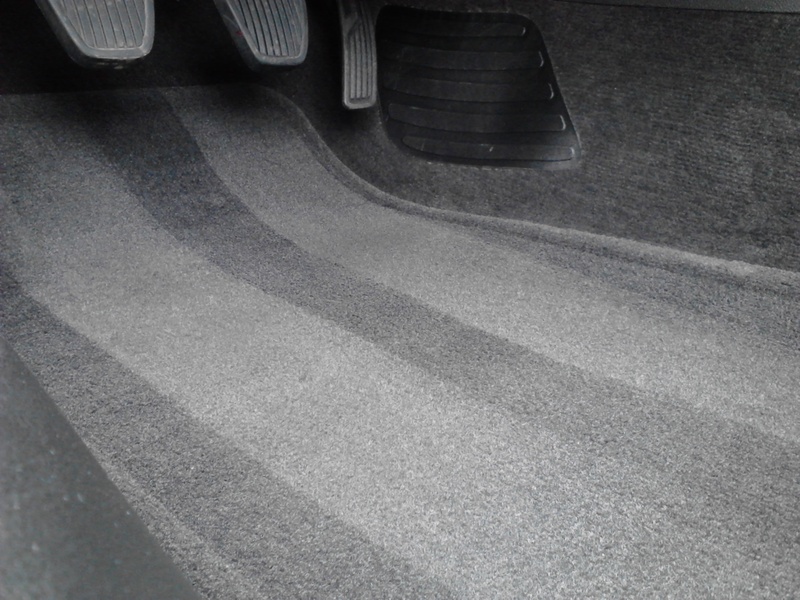 The foam helps to encapsulate dirt and road grime so it does not scratch or mar the paint when gently agitated with a wash mitt. 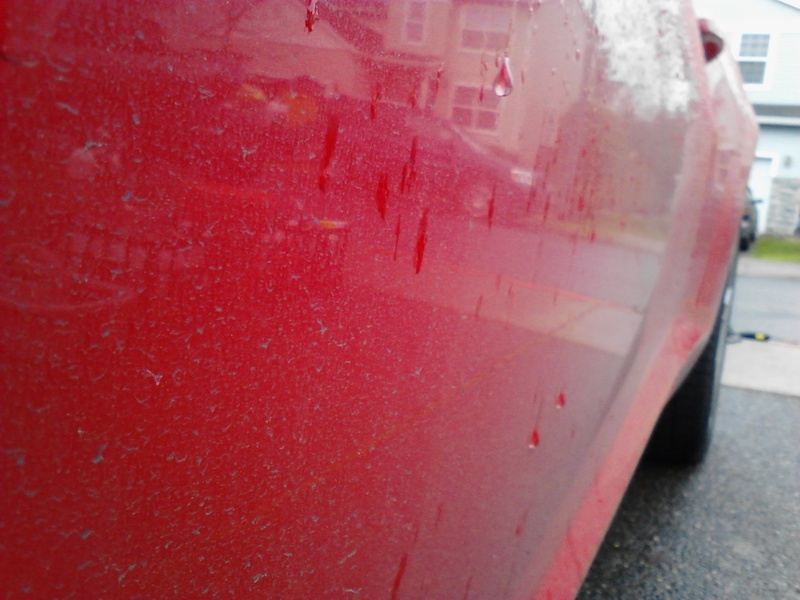 After washing the vehicle we noticed some remaining spots of tree sap and other debris contaminating the paint. The neighbor had been doing some roofing projects and there seemed to be a slight over spray of something all over the paint. 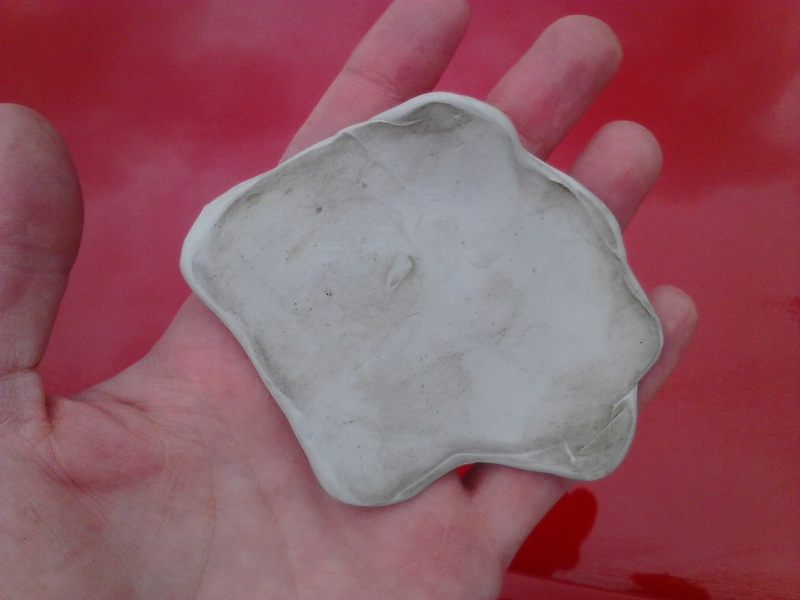 We decided to clay bar the paint in order to completely remove the left over contaminates not removed during the wash process. 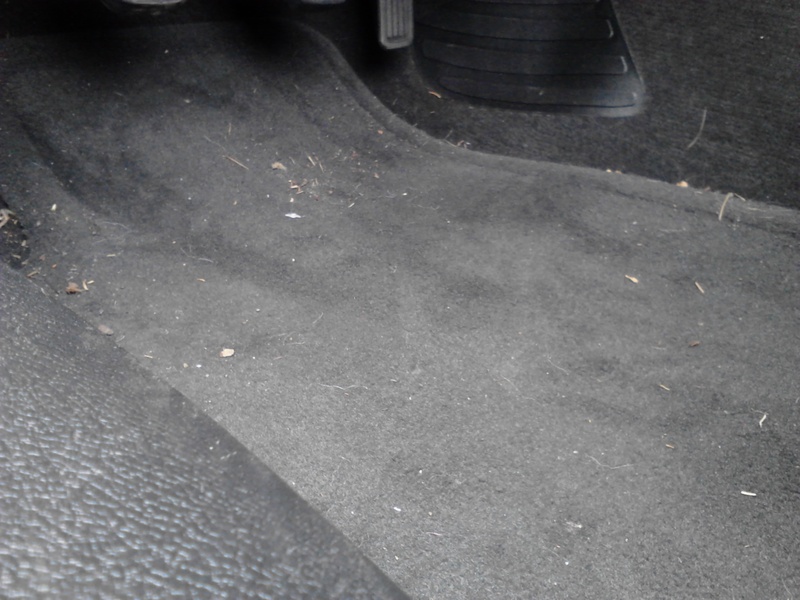 At this time we also noticed some wax residue leftover from the dealership wax job that needed to be addressed. 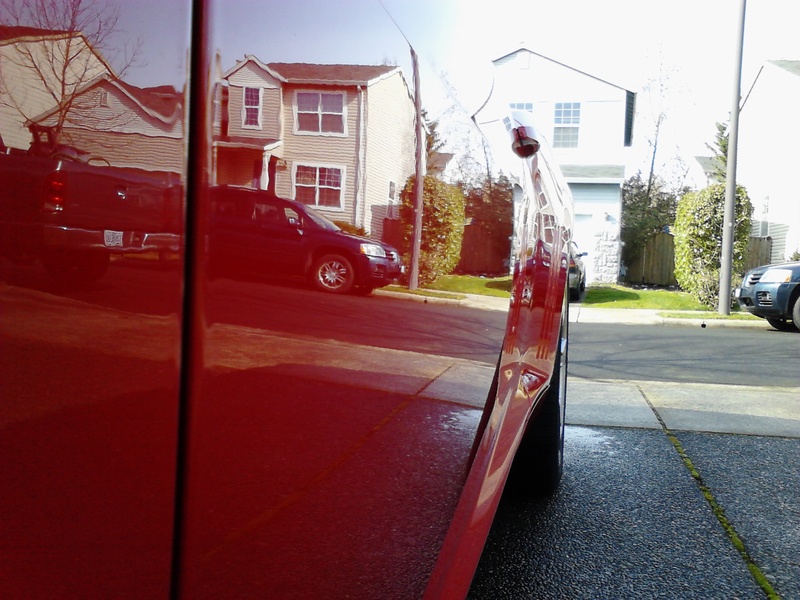 With the paint thoroughly washed and decontaminated we laid down a fresh coat of premium carnauba/synthetic blend wax. 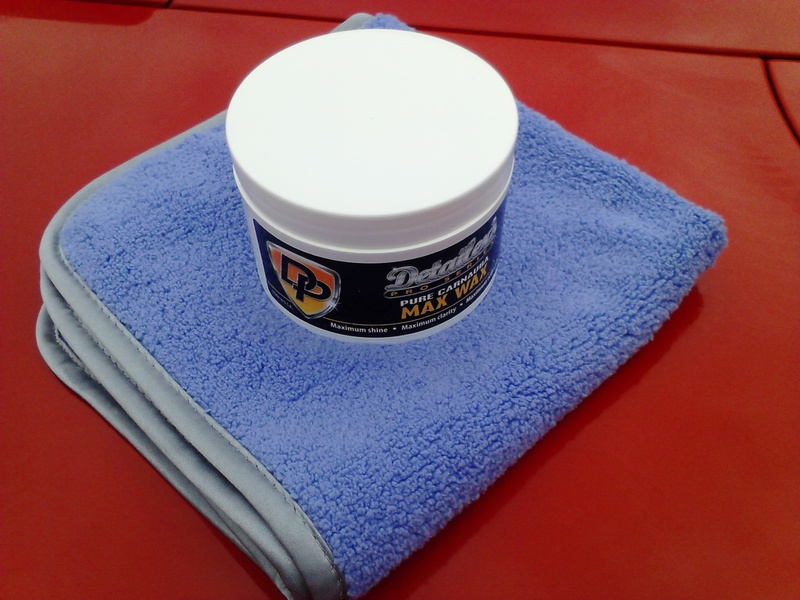 This gives the deep, rich look of a typical carnauba wax with extended durability similar to a paint sealant. 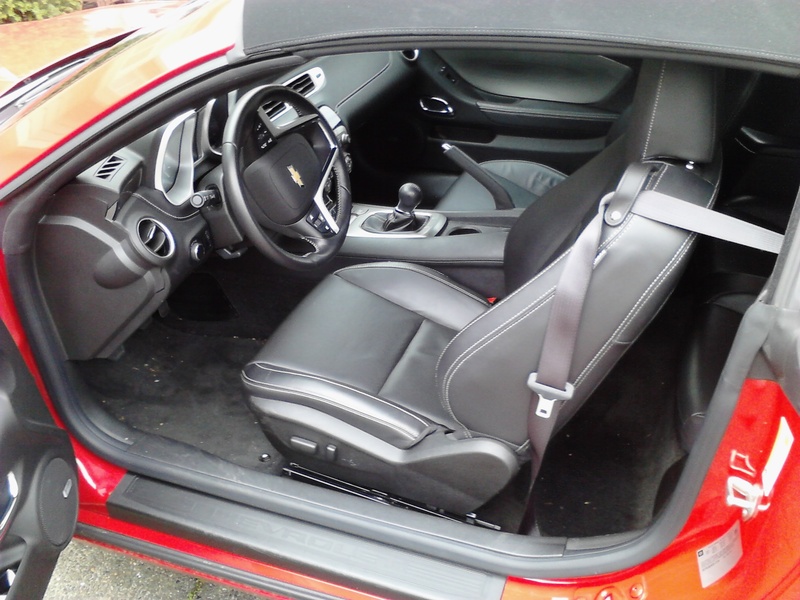 With the exterior completely dialed in we turned our focus to the interior. The owner takes full advantage of this drop top, and with the convertible in full effect this thing gets pretty dusty rather quickly. 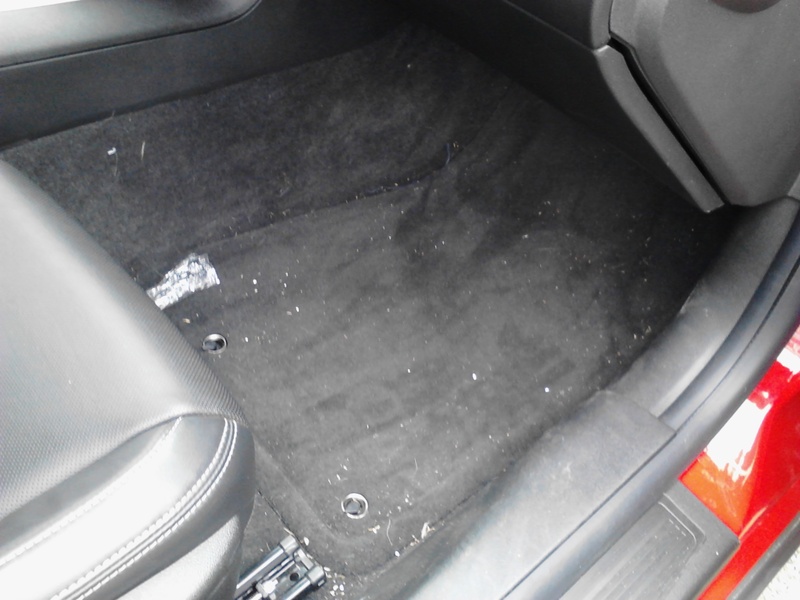 All interior surfaces are wiped down and carpets vacuumed. 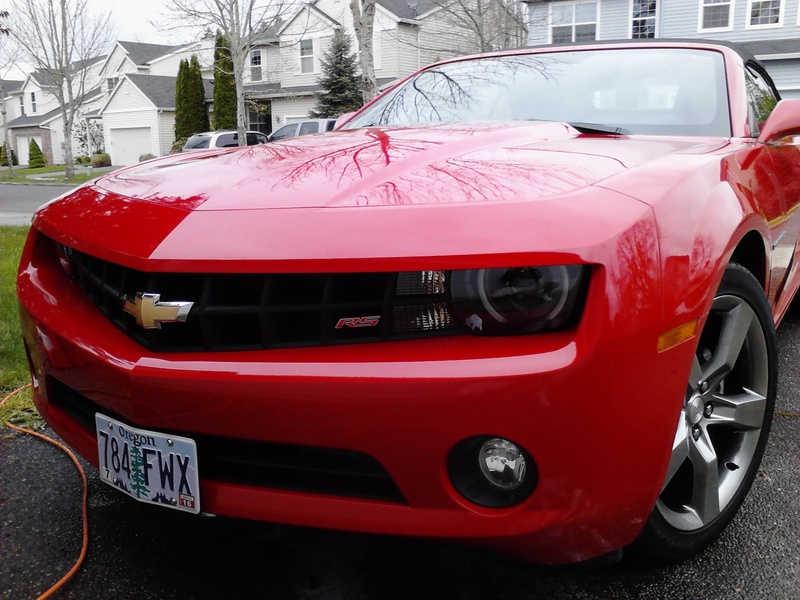 Call us today to schedule your custom VIP maintenance wash and enjoy a “like new” appearance on your vehicle all year long!